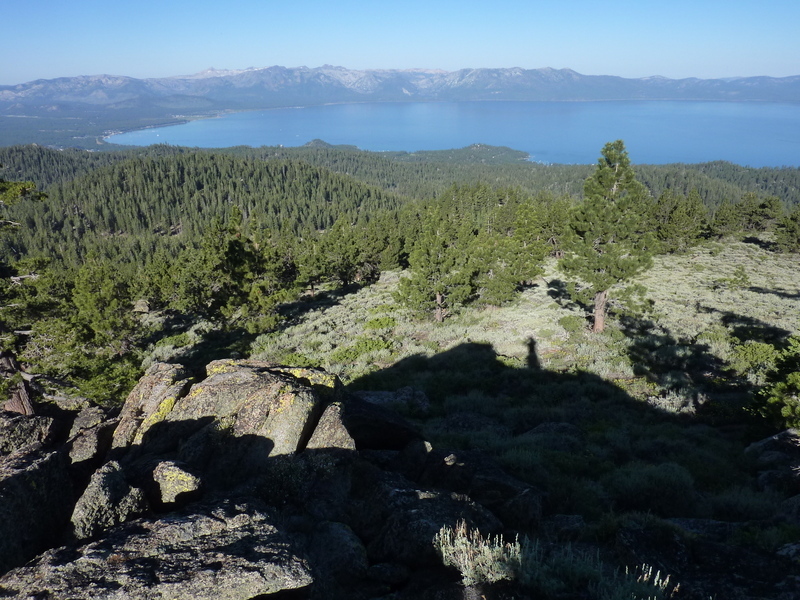 Peak 8,901ft lies on the Nevada side of the Tahoe Rim, roughly halfway between Genoa Peak and Kingsbury Grade Summit. With more than 400ft of prominence, it provides fine views of the Lake Tahoe region to the west as well as the Carson Valley to the east. While in the area for a family reunion, my sister expressed an interest in joining me for a morning hike. With a one-way distance of less than 2mi and just under 1,000ft of gain, it seemed a good candidate. I knew there was no road or trail leading to the summit, so there was some uncertainty on how brushy the route might be, something I knew sis was not overly fond of.